There are 2 storage options available to upload and secure your videos. 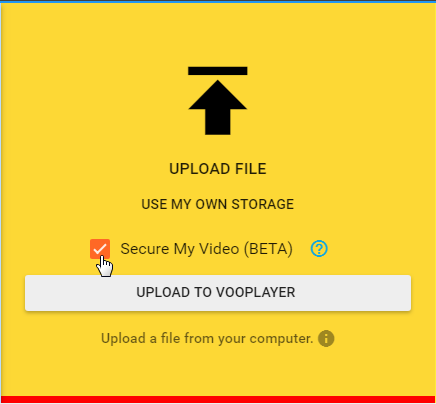 Uploading a video directly to the vooPlayer is the only way we can guarantee performance, as we don't have to rely on the 3rd party network and settings, so our best advice is to always use vooPlayer as a hosting service and then embed videos on your site. 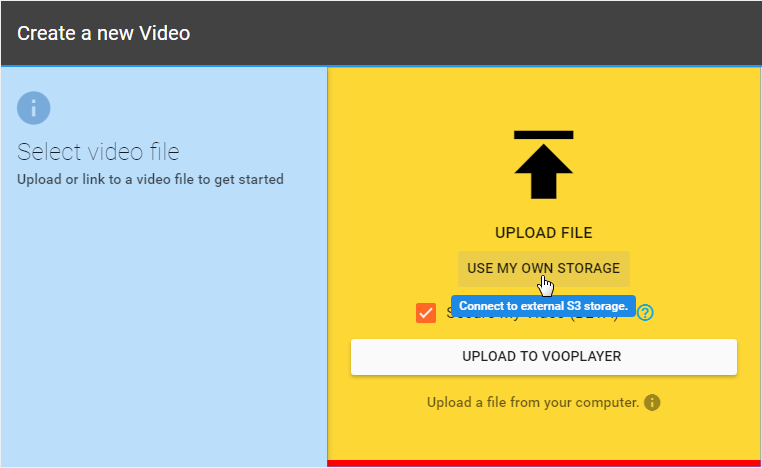 If you have integrated Amazon S3 Storage with your vooPlayer account, you can use it to store your videos, as well. In this case, you will save some storage space on your account (50GB available for the ENTERPRISE license). To integrate your S3 account with vooPlayer, please refer to this article. 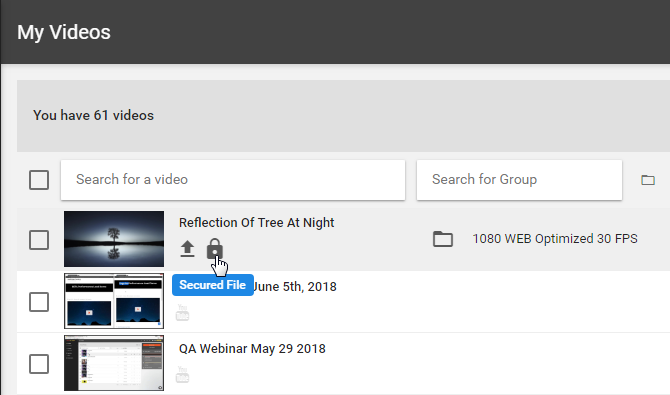 You can use this option to secure your videos, it is available for both storage options. One of the facts that makes us proud of our achievements is the "HLS segmentation encryption", which makes videos secured. Even if someone succeeds to download the video, it is almost impossible to decrypt and watch. If the check-box "Secure My Video" is selected, your video will be converted to .m3u8 format container and it will be secured. If you wish to keep your video in .mp4 this option should be unchecked. To read more about the security, you can click on the blue exclamation icon and the article will appear in a pop-up window or you can refer to the Content Security article in our Knowledge Base. When you have chosen the storage and file from your PC, just click UPLOAD TO VOOPLAYER and provide a name for your video. Furthermore, click on CREATE VIDEO and that's it. If you checked the option "Secure My Video", it can take some time for conversion and encryption processes, however, you can start editing your video before the conversion is completed. The checkbox "Apply settings from another video" will implement all settings from another video. Now, you can see your new video in the list (My Videos). The up arrow will point out that this video is uploaded and the small lock icon will indicate that it is protected with the HLS encryption. If you are curios to know what is happening with your uploaded video in the background, please refer to the corresponding article - Uploading Process.